On November 18, 2017 I posted a story about the twin-engine Mini Cooper that I saw at the Lime Rock Historic Festival. Recently I was contacted by Alan Wilcox of England who acquired that twin-engine Mini Cooper. It turns out that the twin-engine Mini Cooper is the second twin-engine Mini Cooper that Alan owns! 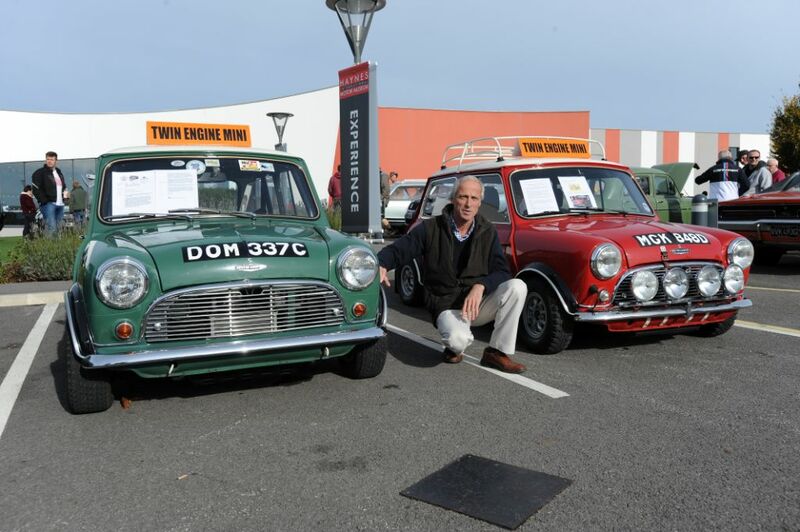 Alan’s first twin-engine Mini Cooper was the green car, DOM 337C. This car was built by Neil Preston in the period from 2005 – 2010. Alan purchased DOM 337 from a dealer friend of his in 2013. It was from then, having researched the history of the Twin Engine Mini’s, and talking to Neil, that Alan found out there was another one in the USA. 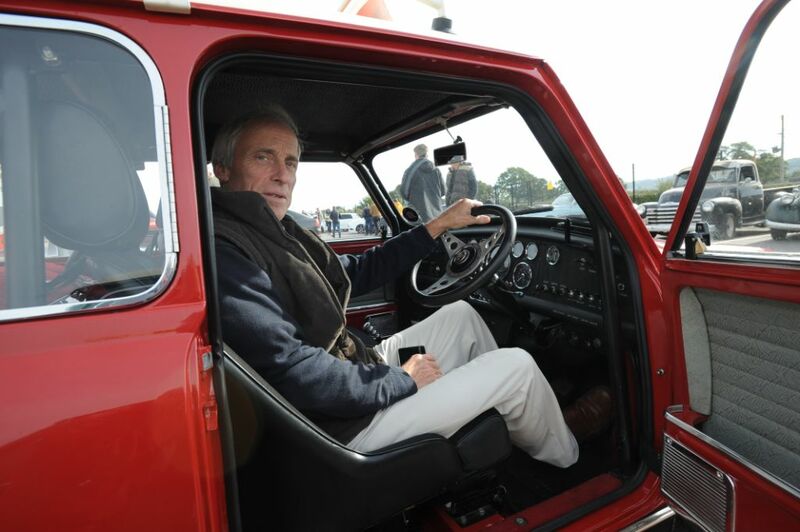 His other twin-engine Mini Cooper, the red MGK 848D, was also built by Neil Preston during the period from 1995-2001, which makes it older than the green car. The red twin-engine Mini Cooper one was sold in 2001 and ended up in the Florida Keys where it remained with a collector until 2010. It was then purchased by Wayne Carini of Chasing Classic Cars Fame. It was while the car was owned by Wayne Carini (the Carini twini Mini?) that I saw this car at the Lime Rock Historic Festival. Alan contacted Wayne Carini and arranged to meet him at F40 Motorsports in Portland, Connecticut in April of this year. Evidently Wayne and Alan made a deal and now the red twin-engined Mini Cooper is back in the UK, and there is no one more pleased than Neil Preston the builder of both of these cars. MGK 848D only traveled 400 miles during its 17 year vacation to the USA, and the car has only done 700 miles, total, since the build was completed in 2001. Alan is still breaking the engines in! 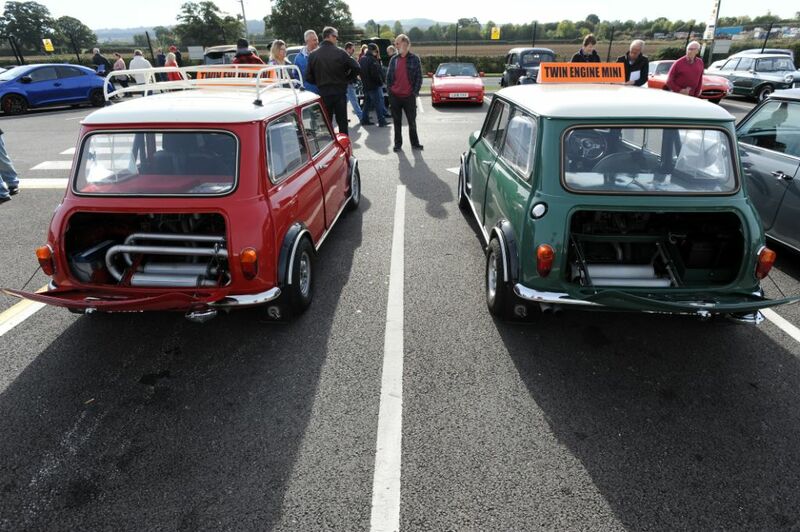 Both of these twin-engine Mini Cooper cars will be at the Lancaster Insurance Classic Motor Show, held from 10-12 November 2017 at Birmingham’s NEC. You will find DOM337C on the Lancaster Insurance stand, and MGK 848D with Mike Brewer on the Wheeler Dealer Stand. If you see Alan, then say hi to him for me! This entry was posted in Uncategorized and tagged Mini Cooper S. Bookmark the permalink.